Punjab, the land of five rivers and integrated cultural history, is a treasure trove for an avid tourist. The state of Punjab shares its borders on the west with Pakistan, on the north with Jammu and Kashmir, on the northeast with Himachal Pradesh and on the south with Haryana and Rajasthan. Sutlej and Beas are the main rivers of the state. Punjab can be geographically divided into two regions: the low hills of Shivalik in the north and the plain between Sutlej and Ghaggar rivers. Punjab tourism thus has plenty to offer tourists from all across the world. Punjab has many places that will be interesting destination for the tourist. On the iconic landmarks of Punjab is the Golden temple of Amritsar which is considered to be the holiest of all the pilgrimages of Sikhism and houses Akal Takht, the supreme governing body of Sikhism. 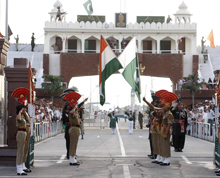 Wagah Border: is the only open land point between India and Pakistan. The Changing of Guards and the ceremonial lowering of the flags ceremony at sundown are great tourist attractions and attracts great crowds. Ludhiana: will prove to be a shoppers delight has a number of fine shopping malls which is famous for its hosiery and woolen goods and other products from the city. Jallianwala Bagh: is a place of historical significance. It is a memorial site for those who served for the cause of freedom of the country. There are still some bullet holes on the walls of this scenic ancient garden. Jalandhar: is famous for being a center of sports, particularly hockey, in India and is a leading center for the production of sports goods in the world. Chandigarh: This city has a unique status which serves as a capital for two cities Punjab and Haryana. The city is divided into various sectors, making navigation very easy. The city provides for a smooth stop over point from New Delhi to the interiors of Punjab. Bus, train and roads are the easy way to travel around in the state of Punjab. Spread over three square kilometers on the northern border of the city, it is a beautiful man-made lake. This place can serve as a nice get away from the rigours of life. It is also a favoured spot for ardent bird watchers as sizeable population of a variety of birds drop in here during the winter months from Central Asia and Siberia. Patiala is famous for its healthy food, loving people, wonderful parandaas, exciting Patiala peg and footwear. The people are very warm and welcoming and like to have a lot of fun with their near and like to celebrate the spirit of life. Punjabi wedding traditions and ceremonies are also wonderful to attend. With a strong reflection of Punjabi culture, it also attracts many tourists from all over the world. Apart from that, Punjab also gives you magnificent places and breathtaking views to enjoy a wide variety of places and activities thus making itself as one of the major hubs of Indian tourism. 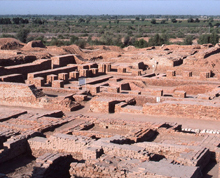 This archaeological site is located at the northwest state of Haryana, about 150 kilometers from Delhi, lies the Harappan settlement of Rakhigarhi. Recent excavations have revealed significant urban centre since 5,000 years that include paved roads, water collection and drainage systems, and brick, metal-working and statue factories. Residents of this place were also highly skilled with jewelry and precious stones. Recently, the Global Heritage Fund declared Rakhigarhi as one of the scarcest sites in the world. Rakhigarhi might get World Heritage Status, and the much-needed funds that come with it. But, with a hotel also planned, Rakhigarhi might not be off the beaten track for long.